Diamond Cleaning Services - Cleaning Services based in Haywards Heath, West Sussex. Our residential service offers you a sparkling home- every time. With our Bronze to Diamond tiered grading system you can choose the clean that most suits you, and don't worry, on our initial home visit we can talk through your individual needs and requirements. All our cleans come with the Diamond Satisfaction Guarantee, if we don't meet the exceptional standard you deserve we will be glad to send a team to right any wrongs. Expect a professional, considerate, and uniformed team of 2 Diamond Cleaners to carry out your chosen service, please do not hesitate to ask our team any questions you may have on the day. From retail locations to busy offices, our experienced teams are determined to provide your business with the highest quality clean. We know how important hygiene is within the workplace, so here at DCS, we are dedicated to providing consistent and thorough work. With a detailed checklist, we leave you with no worries about the estate agent. We cover everything that is needed to carry out an end of tenancy clean. Our checklist provides a secure option to cover all the requirements. Have you recently had work done to your property, and more mess was created than anticipated? Are you a tradesman on a busy job and need to save time with the clear up? No matter what your circumstances, please get in touch and we will be more than happy to help! If you have several items, or even collections of Brass and Silver items, and require them to be cleaned, get in touch and we will provide a no obligation estimate. If you are already our customer then just bring it up with your regular cleaning team, who will add that next clean specifications. Alex serves in the community she grew up in. With 10 years experience in many different cleaning fields including hospitals, commercial cleaning - including offices and nurserys, along with extensive experience in domestic cleaning. Alex is committed and constant in her cleaning, always ensuring cleans are to the standard she has in her own home. If there's a new cleaning product on the market that can improve our performance, and your service in any way, you'll be sure to see it in our teams kit soon enough. "We know it can be hard to find regular, dependable cleaners, especially when the service can often not meet a customers high expectations. We offer that High-Quality, and we develop that customer relationship by respecting you and your home." Cally has an excellent eye for detail, and with a previous cleaning history it was natural for Cally and Alex to come together as a team. 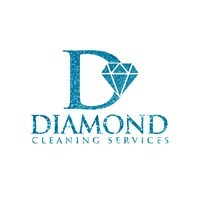 Having previously worked together as a cleaning team, both have gained the experience that gives Diamond Cleaning the edge in the professional and friendly vibe you expect when it comes to your home. "We have a happy team here at Diamond, We treat are employees as valued members of the Diamond family. Regular training and product use is all part of that, if our staff are happy our customers will be happy."